← Will AOL’s Tim Armstrong ever find a way to make Patch.com profitable? It will be fifty years tomorrow from that fateful day that by some accounts ended the innocence of the United States. (Although that expression is thrown around too much as far as I am concerned – think 9/11). To attach marketing to such a seminal event feels a bit nauseating to me but the plethora of retrospectives in television, print and digital are all about making money off the fascination that Americans have with JFK. You don’t really think it’s about informing the public or bringing new light to an old controversy, do you? Before you accuse me of being a total cynic keep in mind that I have fleeting memories of that fateful day – just before I turned 4 years old. It’s one of my earliest memories. 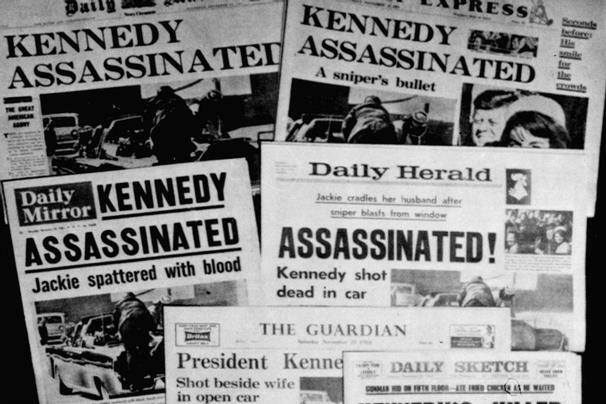 And in truth what I remember is November 24th 1963 since the television (black and white of course) was on constantly after JFK was assassinated and that Sunday Jack Ruby shot and killed Lee Harvey Oswald as most Americans know. I watched that happen live and it still plays vividly in my mind. Later In school we watched the Zapruder film and spent what seemed to be a great deal of time discussing whether there was a conspiracy or not. We grew up with the Warren Commission report, the Grassy Knoll, Texas Schoolbook Depository (where Oswald was employed). Over the years several films have been made about JFK, his life, family, and of course the events of November 22nd, 1963. I always expected that the 50th anniversary of that date to generate renewed interest, nostalgia for a different time etc. An article in USA Today highlighted that there are different events in Dallas and around the U.S. there are events commemorating the occasion – which to me seems a bit morbid to say the least. All this is taking place under the headline of ‘honoring’ JFK. Overall what I am seeing mostly is simply an opportunity to cash in on a defining moment in the history of the United States. That hardly seems like honoring to me and I don’t like it at all. This entry was posted in Marketing stuff and tagged 50th anniversary JFK assassination, Grassy Knoll, JFK, Lee Harvey Oswald, Texas Schoolbook Depository, Warren Commission, Zapruder Film. Bookmark the permalink.